Cleveland, Ohio. 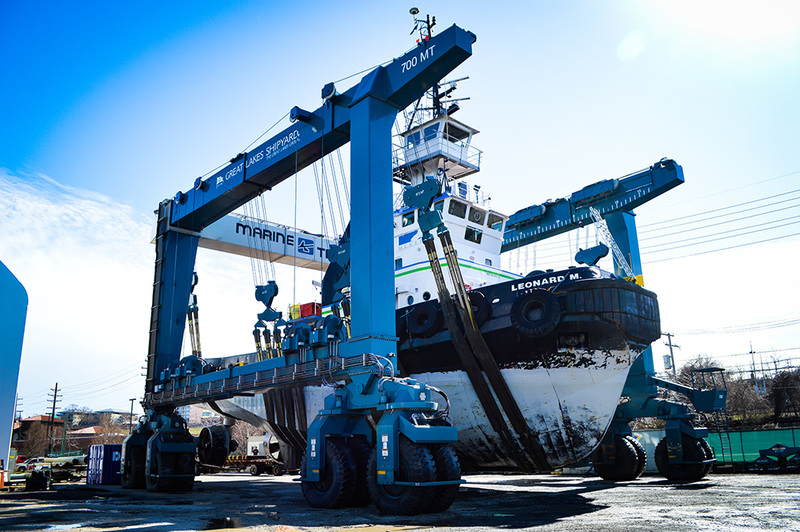 Great Lakes Shipyard was recently awarded a repair contract by McKeil Marine Ltd. to drydocked their 50-MT bollard pull Tug LEONARD M. The tug was hauled out using the shipyard’s 770-MT Travelift on March 1, 2017. Repairs include general maintenance, as well as classification surveys and inspections. Work is expected to be completed later in the month. 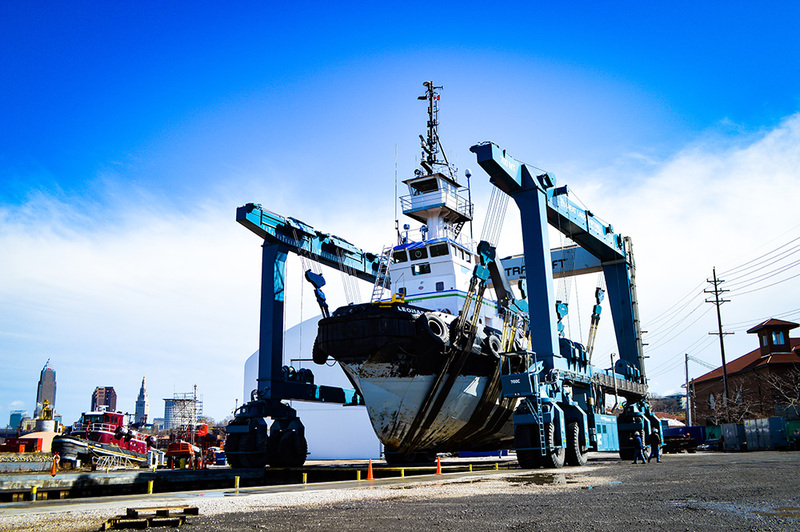 Great Lakes Shipyard is a full-service shipyard for new vessel construction including new workboats and barges, truckable products, custom fabrication, ship maintenance and repairs, in a world-class facility that includes state-of-the-art equipment such as a 770-ton mobile Travelift and a 300-ton floating drydock. 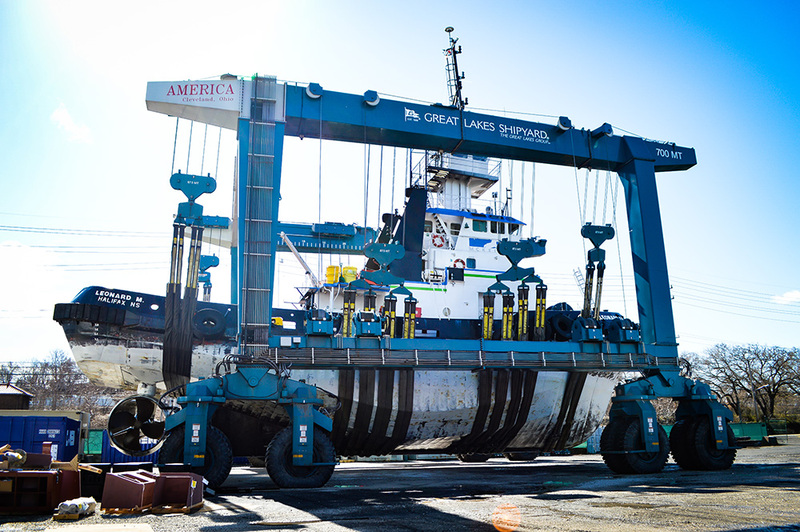 GLS facilities are located at the Company’s headquarters on the Old River Channel of the Cuyahoga River in Cleveland, Ohio. 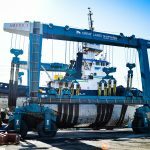 GLT’s shipyard expertise includes designing, building and maintaining its own fleet, as well as an extensive list of commercial and government tugboats, supply boats, ferries, barges, cruise boats, large yachts, and many other types of vessels, including larger domestic and foreign cargo vessels. 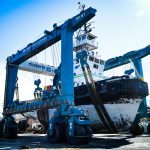 The shipyard is a major contractor for the U.S. Coast Guard, U.S. Geological Survey, U.S. Army Corps of Engineers, EPA, and many other federal, state and local governments, attesting to its high-quality workmanship, on-time performance, and competitive pricing. 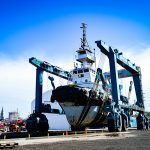 Learn more at www.greatlakesshipyard.com. 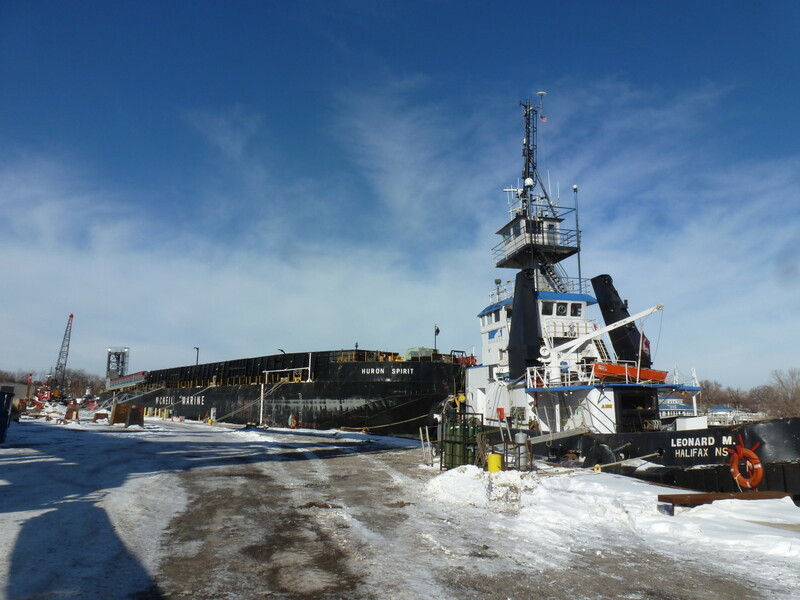 Great Lakes Shipyard is a division of The Great Lakes Towing Company, an industry leader since 1899, providing essential, commercial tugboat services such as harbor assist and towing, ice breaking and cargo transportation in more than 35 U.S. ports, in all 8 U.S. Great Lakes’ states, including Ohio, Michigan, Illinois, Indiana, Minnesota, Wisconsin, Pennsylvania, New York, and the St. Lawrence River. Learn more at www.thegreatlakestowingcompany.com.